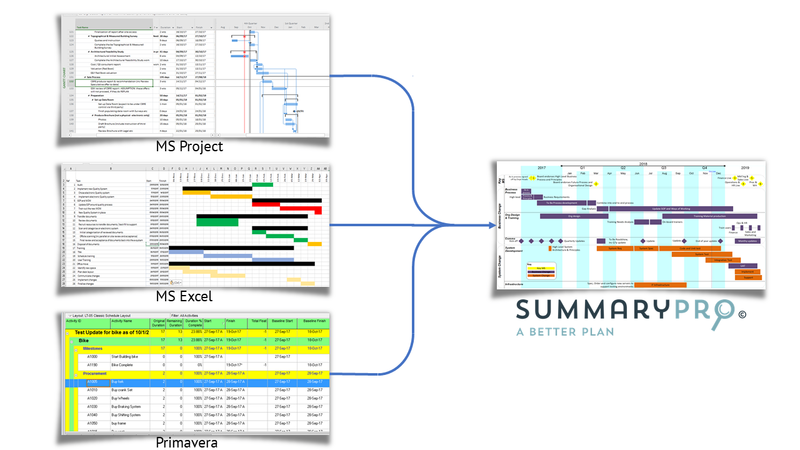 SummaryPro can use data from MS project, Excel, Primavera or many other packages to drive your summary. 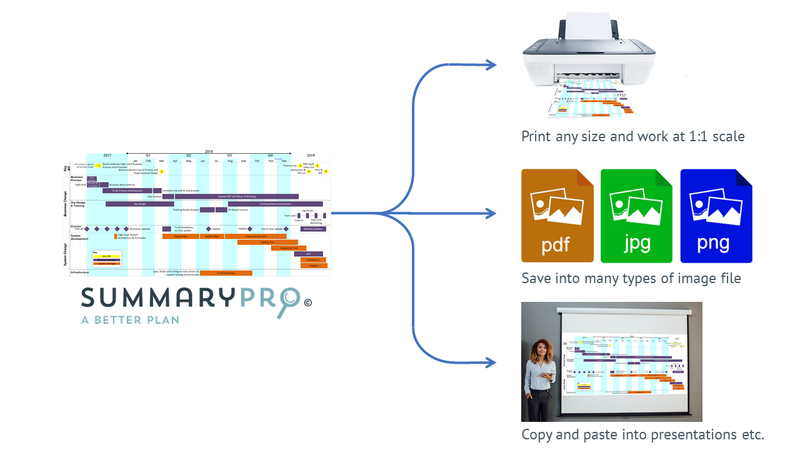 This means that if you have a range of planning tools in use you can use only one tool, SummaryPro, to produce summary plans which look and behave the same. 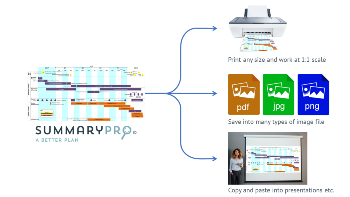 SummaryPro can output to many file formats (anything that Visio can output to) or you can copy and paste the resulting plan on a page into any package you can normally paste into. 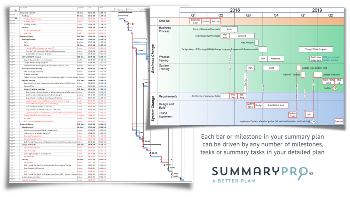 Alternatively, you can print out the summary plan on any size your printer or plotter can produce. 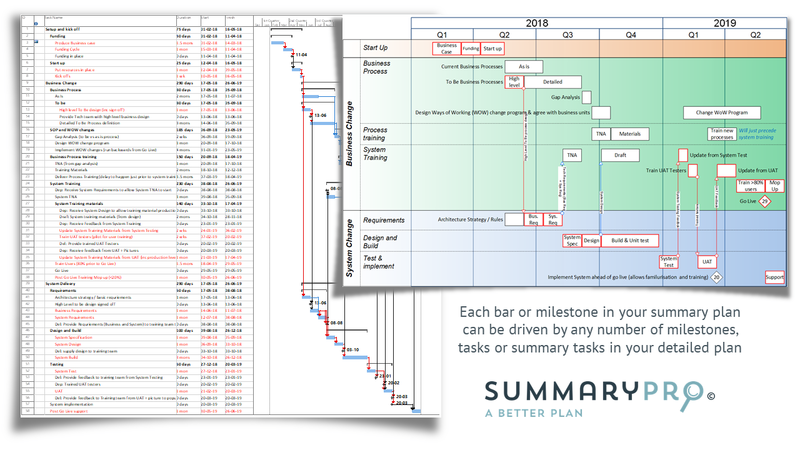 Note that you can scale the plan or produce it at a 1:1 scale as you have complete control of the dimensions of the summary. 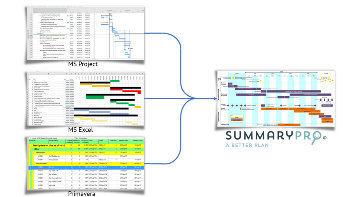 Because of the control that you have over what is displayed from the detailed plan and how it laid out on the page you don’t have to amend the structure of your plan if your reporting need changes. Just select different items and combine them in different ways to generate the Plan on a Page needed for each audience.